“The journey of a thousand miles begins with a single step”. 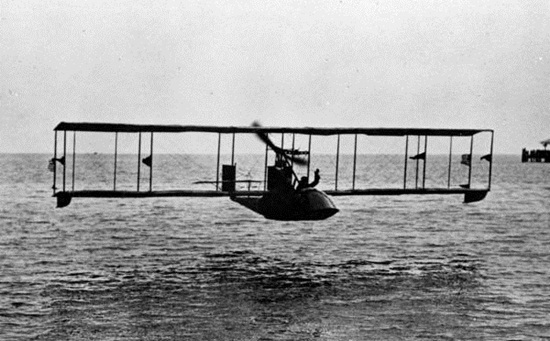 The commercial flight from St. Petersburg to Tampa, Florida was the first single step towards bridging the corners of the world to make the farthest far, the far near, and the near nearer, on January 1, 1914. Yes, we are talking about the day when the seed of aviation (air travel) was sown. The seed gave birth to an ever-growing giant tree whose millions of boughs have crisscrossed the globe, over the years. The global aviation industry celebrated the centenary of the first commercial flight this January 1, 2014. Indian Eagle presents a chronicle of significant years from the history of aviation from 1914 to 2014. Sometimes, we say that what is passed or gone is all history now. But, aviation has been continuing its journey towards an infinite height with a meteoric rise in the number of airlines, destinations, routes and flights since 1914. It has overcome many stumbling blocks and achieved many milestones on the way till date. Today it has made possible what was impossible 100 years back. Piloted by Tony Jannus, the Airboat Line made the first passenger flight and reached Tampa in 23 minutes, which marked beginning of a new era in the history of civilization. St. Petersburg’s Mayor, Abram Pheil was the first air traveler. The 23-minute flight cost him what is US$9000 today. KLM (Koninklijke Luchtvaart Maatschappij) Airlines, the world’s oldest airline and the national carrier of the Netherlands, operated its first flight in 1920. The KLM flights between London and Amsterdam carried 345 passengers and 25,000kg of cargo in the first year of the service. 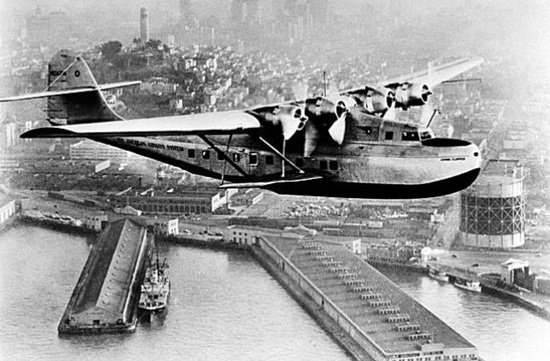 1929 was the year of business air travel. General Pedro Nel Ospina, the then Columbia’s President, was the first to have made official business travel by air. Avianca, known as SCADTA then, operated the business travel flights for the government. It made air travel the lifeline of transport across the geography of Latin America. The year 1929 witnessed the introduction of the first international agreement, the Warsaw Convention which made flight ticketing and baggage checking mandatory. The laws of liability for airlines and passengers were initiated under the agreement. In 1935, the first Transpacific flight between San Francisco and Manila was another milestone in the history of aviation. Operated by Pan Am, the flight carried over 100,000 pieces of mail to several stops on the way, and reached the destination in a week. The year of 1936 witnessed a revolutionary change, made by American Airlines’ introduction of Douglas DC-3 in the world of aviation. The aircraft made the non-stop flight between New York and Chicago. The Douglas DC-3 cost American Airlines $100,000 then. The first airport lounge was founded at LaGuardia Airport in New York, in 1939. It is American Airlines’ Admirals Club offering comfort to passengers on ground. The year 1944 was marked by Chicago Convention in aviation. It introduced rules and regulations for the safety of aircraft and the protection of airspace. It was signed by 52 airlines. One of the most significant years in the chronicle of aviation, 1945 witnessed the foundation of IATA in Havana, Cuba. Today, IATA is the backbone of the aviation industry, representing and leading 240 airlines through financial initiatives. In the same year, South African Airways operated the first Springbok service to bridge the distance between Africa and Europe. In 1952, the first commercial jet flight by the de Havilland Comet saw the light of the day. The Comet made the last commercial flight in 1981. The models of the Comet jetliner improved in technology over the years. The aviation world got the first inflight 16mm film system developed by David Flexer in 1961. TWA (Trans World Airlines) was the first airline to implement this innovation. Arrival of the Beatles at John F. Kennedy Airport in New York in 1965 was one of the historic moments that the history of aviation has chronicled. 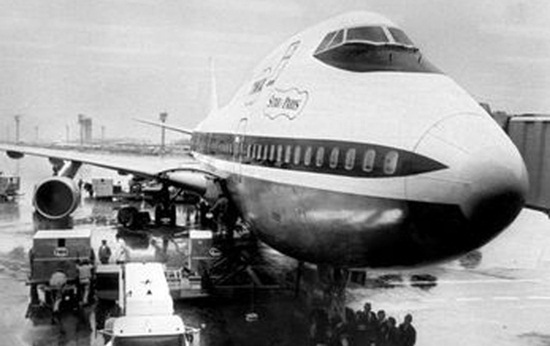 The aviation industry received its first wide-body aircraft, Boeing 747, in 1970. Pan Am operated the Boeing 747 to conduct flights between New York and London. In 1971, Southwest Airlines was the first to have initiated low cost travel which changed the face of aviation to the benefit of passengers and introduced competition among the airlines. In 1972, the first neutral paper ticket was conceptualized. Besides, the Billing and Settlement Plan was introduced to ensure the receipt of money for airlines and enable interline connectivity. US Airline Deregulation Act was initiated to mark liberalization of the global aviation industry from the government control of fares, rules and routes and the entry of new airlines in the market. In 1981, American Airlines launched the first frequent flyer program, “AAdvantage”, in the industry. It is one of the most popular frequent flyer programs in the world, today. Air India, the national carrier of India, made it to the Guinness Book of World Records, for the evacuation of 111,000 people from Amman to Mumbai before the First Gulf War, in 1990. The airline in association with the Indian Air Force operated 488 flights in 59 days for this greatest effort. The foundation of Star Alliance by 5 airlines from three continents took place in 1997. The alliance brought a number of benefits to passengers. In 1998, Cathay Pacific operated the first transpolar flight to connect New York and Hong Kong through the Northern Polar region in only 16 hours, which became a legend in the aviation history. Singapore Airlines operated its first non-stop flight between Newark and Los Angeles in 2004. When tsunami in the Indian Ocean rocked the south-east coastline of India endangering thousands of lives in 2004, the flight service became a pressing need to deliver the aid to the victims of tsunami. Electronic ticketing, bag recovery, and self-boarding were some of the initiatives which were introduced to make air travel more convenient and comfortable for passengers in 2008. In 2011, Lufthansa made a groundbreaking innovation by operating the first biofuel flight between Hamburg and Frankfurt. It was the first step towards ensuring environmental wellbeing of the aviation world. Qatar Airways became the talk of the aviation world by launching the environment-friendly Airbus A350 for more efficient air travel of passengers, in 2014. “History repeats itself”. “The wheels of time never stop”. “Earth never stops revolving around itself”. “The sky has no limit”. Likewise, the growth of aviation knows no bound. It will be making giant leaps to go up vertically.